7:30 p.m. Tuesdays through Saturdays, 7 p.m. on Sundays and 2 p.m. matinees. Maybe a story about a con man rolling into a small town to take advantage of a group of good-natured people doesn't sound like what you need this holiday season. But a story about a con man who, through the power of love, finds it in him to step up and become a better person? That sounds like exactly the sort of hope we could all use. "It's a terrifically good piece of musical theater, as well as a look back on a more congenial time in America," says Abe Jacob, the show's sound designer—or, you might say, the production's very own music man. "It's a very worthwhile show for the whole family." The show tells the story of Harold Hill, who arrives in the small town of Mason City, Iowa, with the enticing offer to organize the young boys in the town into a hot new band—and who has no intention of delivering on his promise, considering he's not a musician. Along the way, he meets Marian Paroo, the town's librarian and piano teacher; her 10-year-old little brother, Winthrop, who has a lisp and is painfully shy; and a host of other townspeople. Jacob has managed sound for everything from the 1969 Broadway production of Hair to the Beatles' last touring concert, but he's just one part of the show's superstar creative team. Also on crew: lighting designer Philip Rosenberg, who's worked on shows including Pretty Woman: The Musical and The Elephant Man; and Tony Award-winning scenic designer and UA alumnus Scott Pask, who's done sets for Broadway shows ranging from a Pippin revival to Mean Girls. Like Jacob, Pask is a Tucson native, but he's never done a show with Arizona Theatre Company before—he spends so much time on shows in New York that he considers the desert a refuge from work (though some of the shows he's worked on, like Book of Mormon, have toured through Tucson, and some, like Waitress, are even touring through next week). But ATC artistic director and the show's director David Iver had a vision that excited Pask enough to get involved. "It's one of the great musical scores in American history, and I think coming at it with a fresh approach—with David's eye and energy and enthusiasm—is always really exciting," Pask says. "I think when you redefine something for another generation, that's always really exciting." Just like it did for Pask, The Music Man represented a return to hometown roots for the show's playwright, Meredith Wilson—the town in the show is based on Wilson's childhood hometown, Mason City. Pask took his inspiration for the set from a postcard he found of the city, painting the postcard as a mural across the back wall. The cast of characters who will be singing, dancing and falling in love on the set promise to be just as impressive as the mural behind them, even if they don't have the long list of productions under their belts the behind-the-scenes team does. For example, 9-year-old Nate Wiley has been hard at work perfecting his portrayal of Winthrop Paroo. 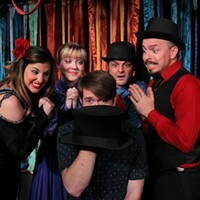 "I like meeting new people, and I like learning dance moves, and I also enjoy watching what the other actors do as they're acting," says Wiley, who has been doing children's theater and putting on private shows for his family for years, but is making his professional theater debut in The Music Man—which happens to be his favorite musical. "I think it's just amazing to see what they do, and I like it when I get to act and to come up with my own character." 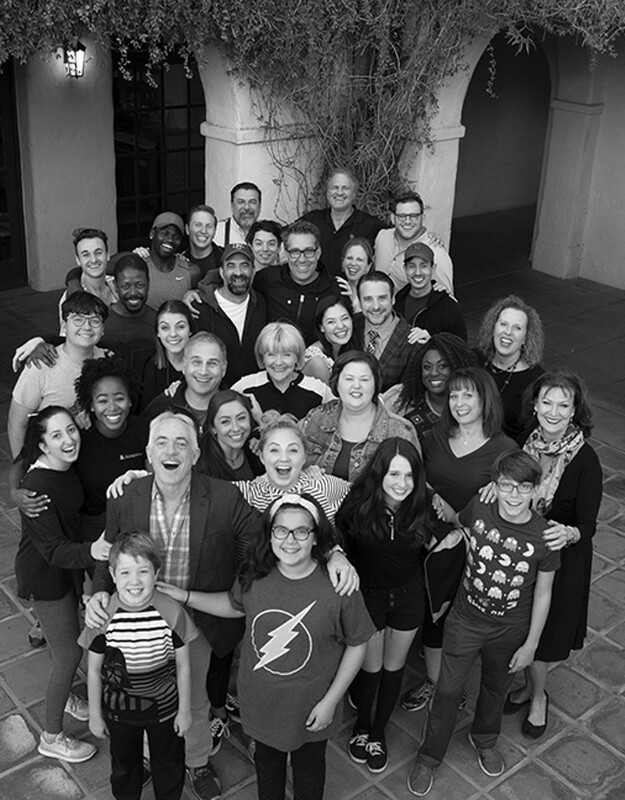 From the future superstars in the show to the industry veterans putting their own spin on a classic, the people on and behind the scenes of The Music Man are putting their passion into telling a story they hope will offer a little bit of hope this holiday season. "I think it's important to see these stories where someone has the ability to change," Pask says. "Someone finds love and is made a better person, and I think that is exciting and inspiring, and I think that that's especially important in today's climate."